One of the things I was really looking forward to at Maker Faire Bay Area this year was hearing Mark Setrakian speak. As a kid I was a huge fan of the TV shows Robot Wars and Battle Bots, in which Mark competed. Not to mention all the cool animatronics and puppetry work he’s done in movies like Men in Black and Hellboy, two of my favorites. 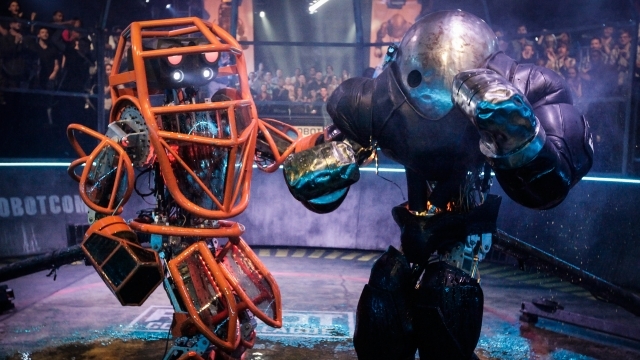 Mark’s latest project was creating the giant fighting robots for the SyFy show, Robot Combat League. It was only after watching RCL that I realized who Mark was and that I had been unknowingly following his work for years. I was really looking forward to meeting him in person… but I missed his presentation at Maker Faire! Luckily for me (and you), his presentation, Inside the Art and Technology of Robot Combat League, was recorded and is now available for playback. So sit back, relax, and watch as this master of robotic and movie magic tells you just how he developed the amazing robots from RCL. Mark also answers questions from the audience on the show’s pyrotechnics, repairing robots during the show, and what it felt like to build robots that cost as much as a Lamborghini just to have them destroy each other. Check out the video above to see his whole presentation, and visit SyFy’s website for videos of fights, behind the scenes footage, episodes and recaps.